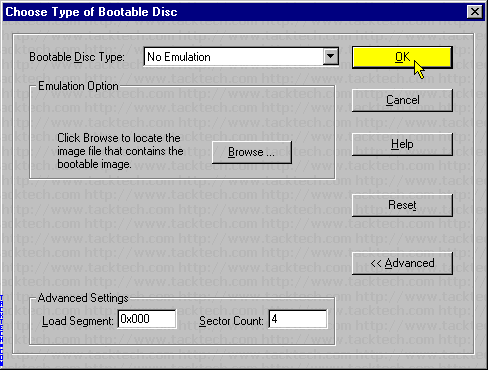 Creating bootable Windows 2000/XP/2003 Disc (Easy CD and DVD Creator 6) (Windows 2000/XP/2003) - TACKtech Corp. 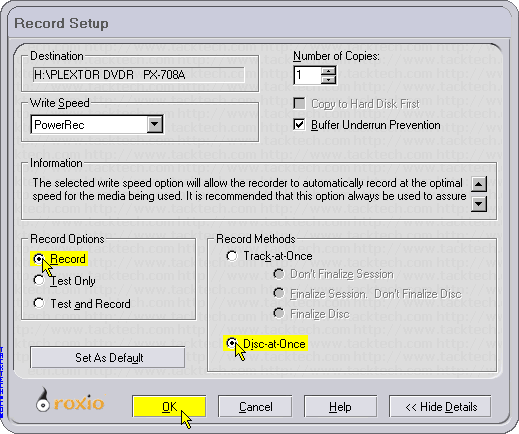 Note: Roxio Easy CD and DVD Creator 6 6.1.1.7 was using in this example. 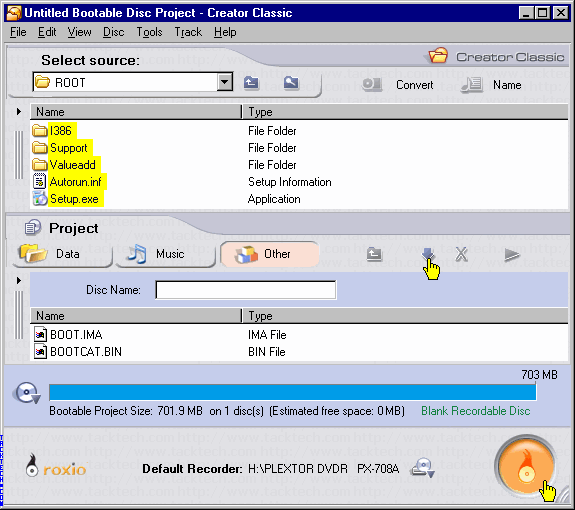 Note: Links to regarding Easy CD and DVD Creator 6 are found at the top of this article. Start Easy CD and DVD Creator 6. 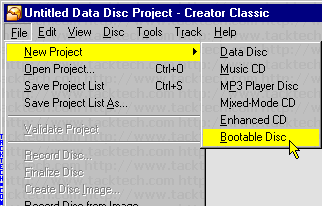 Select File > New Project > Bootable Disc from the menu. 1.) 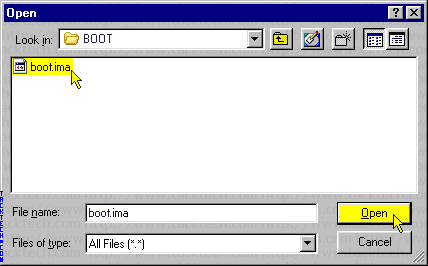 Set Bootable Disc Type: to No Emulation. 2.) Click the << Advanced button. 3.) Set Load Segment: to 0x000. 4.) Set Sector Count: to 4. 5.) Press the Browse ... button. 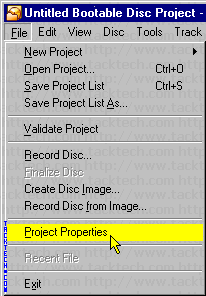 Select File > Project Properties from the menu. Set the File System to Joliet. 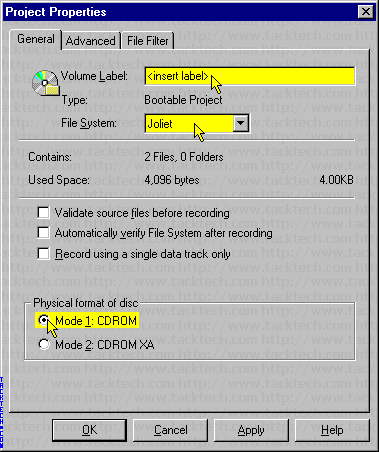 Set the Physical format of CD to Mode 1: CDROM. 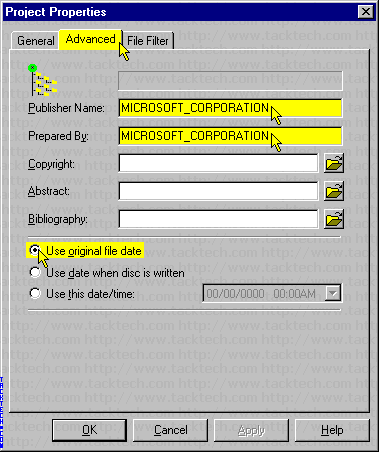 Enter MICROSOFT_CORPORATION in the Publisher Name:, and Prepared By:. Select Use original file date. Click the File Filter tab. 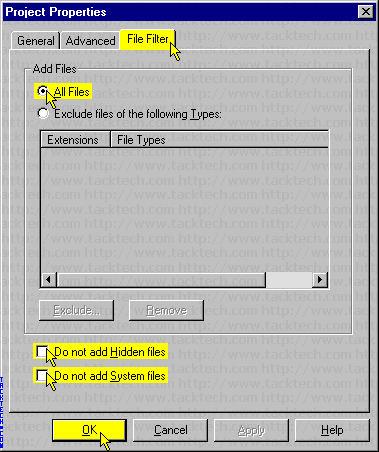 Uncheck Do not add Hidden files. Uncheck Do not add System files. 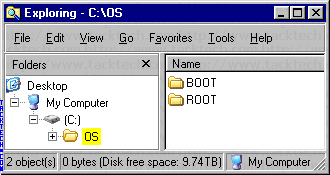 Select all files and folders in the C:\OS\ROOT folder. Click the Add to project button. Click the Burn to disc button. Select Record CD under Record Options. 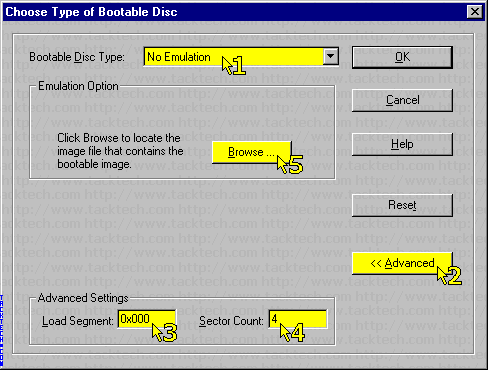 Select Disc-at-Once under Record Methods. Wait for CD creation to finish.